Kiryas Joel Wastewater Treatment Plant - Kiryas Joel, N.Y. The scope of work included construction of a pump station, force main, wastewater treatment plant and outfall pipeline. 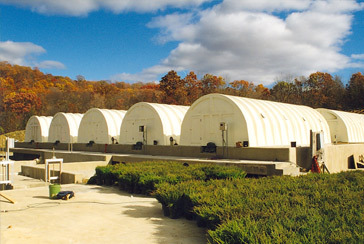 The 14,000-square-foot split-face block operations building required a gravity thickener, two primary settling tanks, two secondary settling tanks, rotating biological contactors, post aeration, chemical feed systems and ultra violet disinfection.